Wow! Back to school time already?! 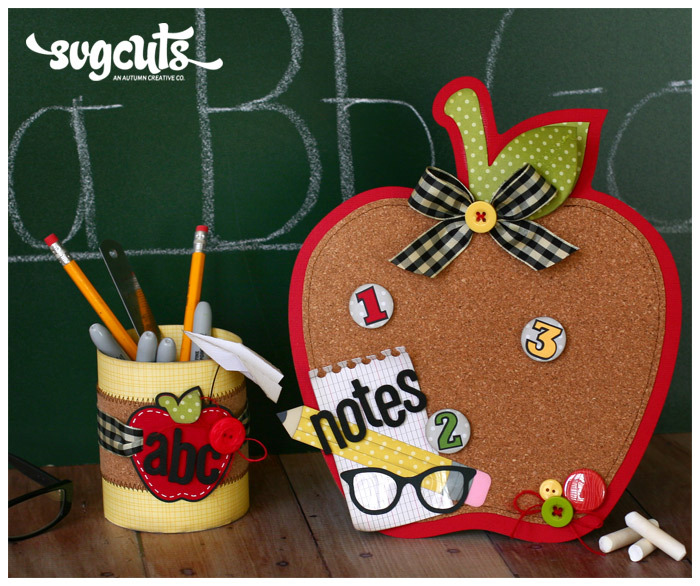 Are you trying to find a last minute back to school gift idea for the teacher? Well here you go! 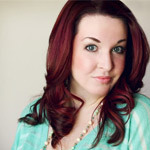 I’ve created this quick and easy gift set that is totally useful and super cute, too! What teacher wouldn’t just love this? Cut a thin piece of mat board or chipboard apple using yellow.svg file. This will keep the board sturdy. Then, cut another apple from yellow.svg in red and adhere to the matboard/chipboard. Cut red.svg with any random paper, this will be the template to trace and cut out the cork apple. I traced it with a thin black pen and cut it out with a craft knife. Stitch with brown thread and adhere to the red backing. Cut the leaf.svg twice. Layer them adhering only the stem, then stitch and pop up the top layer’s leaf. This just gives a little dimension. 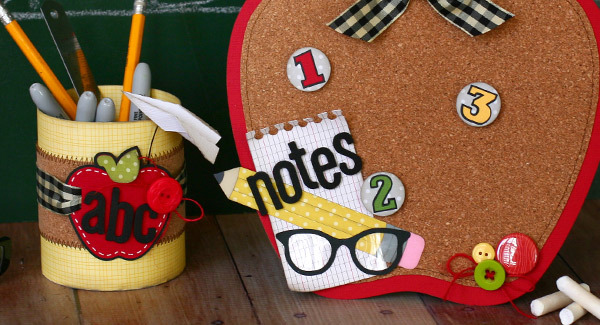 Embellish the corkboard with die cuts, ribbons, buttons, etc. To create the push pins, hot glue the 1” circles onto the pins, then adhere the 1,2, and 3 numbers. Now the board is complete! To make the pencil container; cut snow_body.svg and trim off about 2” from the top. I did this so it’s not too long and this seems to be the perfect height. Before assembling, cut a 2” wide strip of corkboard (thinner stuff works best for this) and adhere/stitch on down the center of the cylinder. Once you have the cylinder assembled, you can add ribbon and the apple. I used a white gel pen to add ’stitch’ marks to my apple. Embellish with foam letters and a button. Lastly, cut the little paper airplane and adhere to a wire. Stick this behind the apple. So cute and it looks like it’s ’flying’. You don’t have to do a ’traditional’ school themed design. This would be great done up for Halloween, Valentine’s Day, etc. You can add little floating hearts, a cute worm for a ’love bug’, and for Halloween you could add a little web, spiders, etc. It could be a teacher’s gift for any time of the school year! For the corkboard I just used what I had handy, which is really too thin. I have seen sheets of much thicker cork at big chain craft stores. You don’t want the pins to totally puncture through the back, which is also why it’s a good idea to back it with chipboard or matboard. 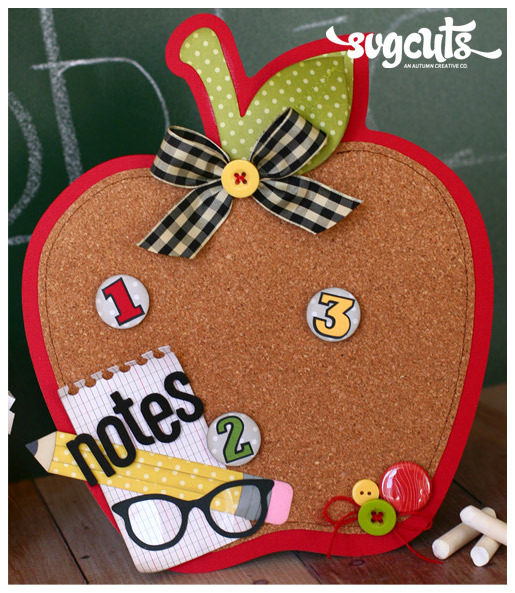 This can be used on a desk with a little easel, or even tie a ribbon to the top for hanging! 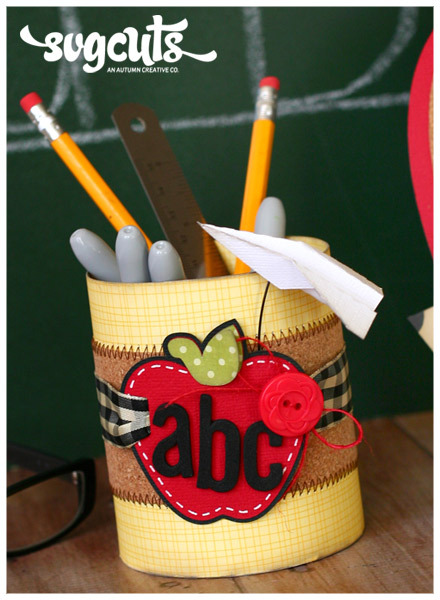 When giving this as a gift, it would be cute to fill the pencil holder with little treats in a bag and add a special personalized tag from the student. What teacher doesn’t love a stash of goodies at his or her desk? I hope my project gets your wheels turning for some fun teacher gift ideas! If you are super pressed for time, just make one of these items. For some kiddo crafty time, have them help you! I am sure they would love to pitch in making their teacher this special gift! Most of all, enjoy and happy crafting! Just a quick question on the instructions. For the yellow.svg cut (the very first one on the list), is that the correct width size for cutting it. If it is to be cut out in read and then the cork board is over it, I don’t know that it will be big enough. If you’d let me know; not wanting to waste any paper. Thank you!!! Sorry, I meant red, not read. On my Ecal screen on my computer it looks like 28″ wide would work. Also what is the cream.svg? I do not see that as an option under the teacher sign in the Ms. Baker’s Classroom Kit.